Wellll here it is. Our third single is now available for purchase from our webshop. 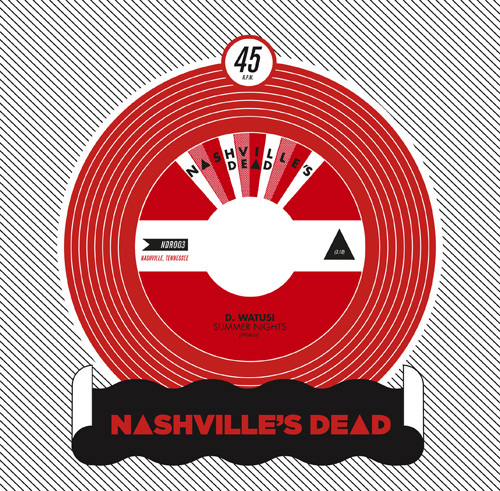 Like we’ve mentioned so many times before, this latest single is from one of our favorite newer bands in Nashville – D. Watusi. It’s a three-songed 7″ [one of which being a Monks cover] and it rules. Head on over to the store and snag one before they’re all gone. And if you haven’t ordered either of the first two singles, this might be your last chance! We’re gonna have to take them down in the next little bit because we’re about out. If the online purchase isn’t really your thing, then head on over to Grimey’s today and snag one. Or wait til the show at Danzig’s on Friday. Your choice. Don’t snooze.